Yesterday’s morning early-morning outing at the watershed was a quickie as the drizzle swayed me from a bike ride to a walk. 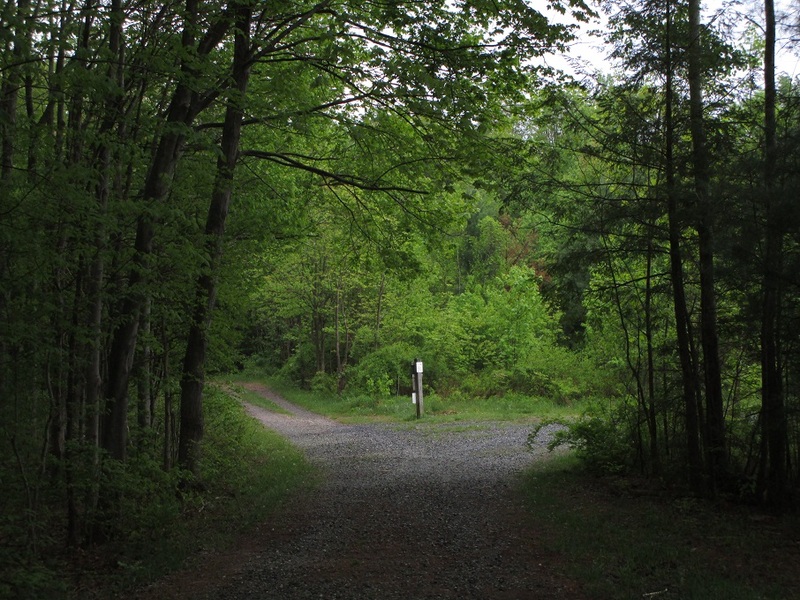 This crossroad was a choice between going onto the wooded trail on the left or onto the breast of the dam on the right. The other choice would have been to turn around. I chose to make a right. As I got to the end of the breast, I recorded a few one-minute videos and finished my QiGong before the rain began to fall. It was before 7 a.m. so I knew few if any people would be around. I was right. I ran into only one runner on my return trip out…some of us need to have our fix, no matter what the weather is. This crossroads decision was easy. Some are not as easy. Weighing the pros and cons of which way to go in other areas of our life may take more consideration. What do we consider? What we want…what we need…who it affects…how it affects us…how it affects others…these are just the tip of the iceberg. Too much consideration can lead to procrastination and then you go nowhere….been there, done that. Today I’d rather take my chances and just move forward, and sometimes we have to do that in life. We can always backtrack or change the direction if we find it’s the wrong choice. If we still can’t move forward, maybe we need to turn around and regroup our thoughts. But, like the Pink Floyd song says, “…and then one day you find, 10 years have gone behind you…” So don’t take too long to regroup. Go for it! This entry was posted in Inspiration, Life Purpose, Nature and tagged Spiritual living. Bookmark the permalink.